Before you can begin to evaluate if an employee is performingadequately, you first need to identify the ideal baseline performance. Set your standards, and expectations, accordingly. What is considered acceptable performance? Is this sustainable? How many pounds or kilograms or pieces should an employee process per shift? How many sheets should each employee feed? How many garments should each employee hang? Whati is the correct blance between performance and quality? So you have your production standards set for each station in your laundry’s workflow. Now what? Well, from here, each employees’ productivity and efficiency needs to be monitored. The full scope of productivity is calculated from the time an employee clocks in, to the time when he or she clocks out. For the most accurate picture, track all work performed, across all stations. Ideally, this progress should take into account equipment availability to determine the most accurate productivity and efficiency numbers for each employee. By monitoring each employee individually as work is performed or, on the other hand, not completed, it becomes easier to identify employees who may need help at a particular station. With this information gathered, you’ll also be able to compare the number of hours earned versus the number of hours logged to calculate the most accurate performance percentage. Tracking the data input each day is great for you to monitor, but it’s even better when employees can see their progress, in real-time, throughout the day. Visualization tools helps gamify employees’ shifts, and promotes friendly competition, all while providing immediate and positive feedback that performance is meeting or exceeding the standards you set. For optimal results, monitors should be conveniently placed where employees are working for ease of viewing. Consider shape and color coding of the performance data to clearly identify if he or she is performing below, at or above expectations. Visualizing laundry labor productivity also helps improve employee morale, shifting the environment disciplinarian to motivational. Having a clear picture of one’s productivity opens up pathways for discussion if an employee is in need of support. Additionally, top-performing employees will receive positive reinforcement, and each member of the team will serve to lift each other up. Together, all of these aspects foster a better, more fulfilling workplace. If the data you’re referencing is out of date or has aged to a point where clear gaps in knowledge exist, then it no longer becomes beneficial as the basis for making performance improvement decisions. It’s important to have current data, but it’s even more helpful for busy laundry plant managers to automate the collection and analysis of the data. With real-time automated reporting, you spend less time creating the reports, and have more accurate data points to aid in making important decisions. Who doesn’t like a nice bonus as a job well-done? Now that you have the proper baselines identified and employees have a clear picture of their performance, it’s time to celebrate their achievements further. Create incentives for employees to push for an even higher level of performance. 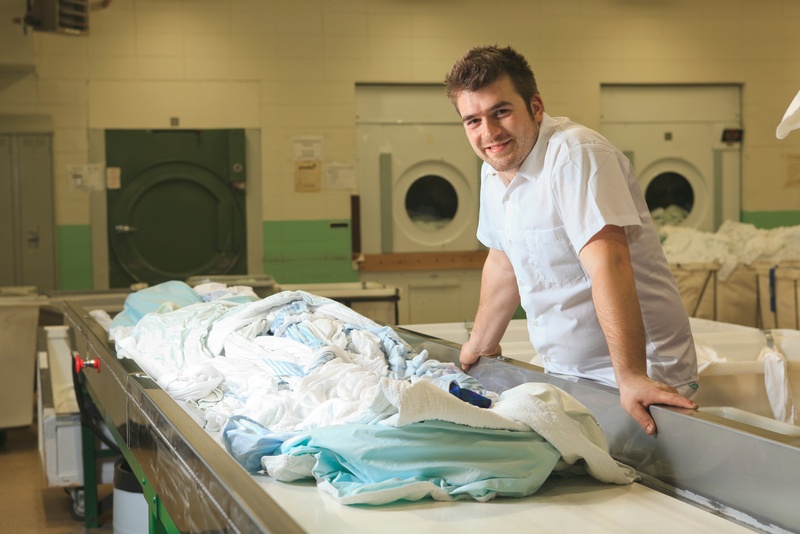 Need help in integrating these tips into your laundry operations?